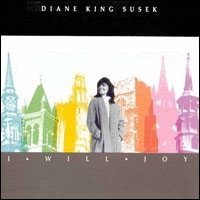 Diane King Susek was born into a home where music was a way of life. Both of her parents were musicians. Diane relates, with obvious delight, the happiness of her childhood and the joy of growing up in a home filled with music. Her father was her first piano teacher. After graduating from Ithaca College, Diane married evangelist Ron Susek in 1968. She then entered Peabody Conservatory of Music in Baltimore and received her degree in music in 1972. Since then, Diane has released eleven sacred albums, one of which received the award for Best Album of the Year from the National Evangelical Film Foundation. The same foundation honored her as Best Female Soloist of the Year. Diane's recordings are heard daily throughout the United States on Christian and secular stations. 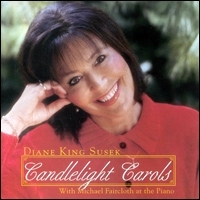 Diane was often seen by national audiences as a guest soloist at the Coral Ridge Presbyterian Church in Ft. Lauderdale, Florida. She has appeared nationally on Canadian television with Dr. Paul Smith of the People's Church in Toronto. 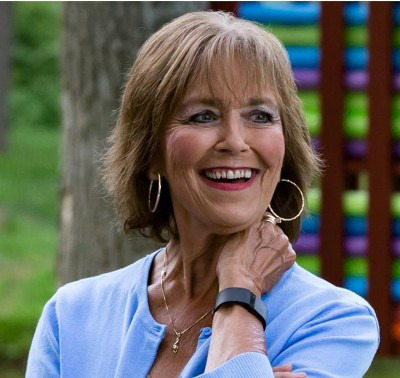 Diane has sung for the Dutch Television Network in Holland, for a Billy Graham crusade, and appeared on Dr. Stephen Olford's Encounter television broadcast. She also has sung for Moody's Founders Week. 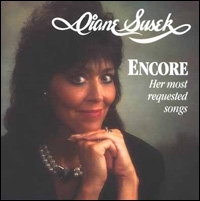 Diane is a regular soloist at meetings for her husband's ministry and was the featured soloist on his daily television program Impact with Ron Susek. Her brother, Adrian Buddy King, is composer of several of her well-known songs, including Welcome Home, Children, and He Opened Up the Pages, and you can hear him “duet” with her on his more recent composition, The House in My Future from her I WILL JOY cd. Diane has one purpose and goal in singing and that is to honor Christ with a ministry to the minds, hearts and souls of people. Those who hear her by recording, the media, in churches and Bible conferences, at conventions and banquets leave with no doubt that she has served her purpose and achieved her goal.